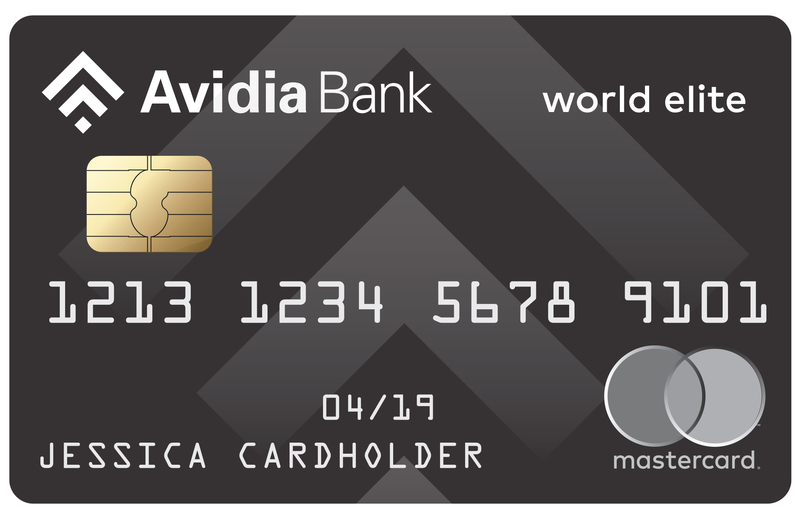 With a World Elite MasterCard® credit card from Avidia Bank, you can enjoy highly competitive rates with first class customer service and valuable credit card rewards. Plus, there are no balance transfer fees. So move those high rate balances from that “other” bank credit card at no additional cost. How to avoid paying Interest on Purchases We will not charge you interest on purchases itemized on your monthly statement if the balance on your entire account at the beginning of the billing cycle was zero or if the payments and credits received during the billing cycle equal or exceed that balance. To access these great credit card features sign up for Avidia Internet Banking. It's free, easy and convenient! Earn rewards points with every purchase! Visit our Avidia Rewards+ page to learn more. Avidia Bank customers can link their Avidia Bank MasterCard to their Avidia Checking account. In the event of an overdraft, a transfer will be made from your credit card to your checking account automatically. To add the Overdraft Transfer option to your MasterCard account, please fill out the overdraft transfer form and mail to Avidia Bank or drop it off at any branch location. All Avidia MasterCard Credit Cards are available for use with ApplePay ® as well as Samsung Pay ® & Android Pay ®. Add your Avidia MasterCard Credit Card to your smartphone’s wallet for easier and safer check out! † The current Prime Rate is 5.50%. The Prime Rate used to determine your APR is the rate published in the "Money Rates" section of the Wall Street Journal on the first day of each month and will take effect on the first day of the following month. * The type of MasterCard for which we approve you will be based on your creditworthiness and other factors. This page was produced December 20, 2018 and the above information was accurate as of that date. The information is subject to change at any time. You may call (800) 508-2265 for any changes to this information since the date of printing.